If seeing is believing, Dominican voters will be able to "make their eyes boil their peas". Come the next general elections, voters will be placing their ballots in transparent ballot boxes, one of the fundamental instruments for the holding of free and fair elections at the polling station level. Steven LaRocque, the Chief Elections Officer told the Sun in an exclusive interview: "I can confirm to you that we have in fact purchased the transparent ballot boxes and they have been shipped already to Dominica. We also have to meet with the political parties to discuss with them the new concept of the ballot boxes and also a media launch." 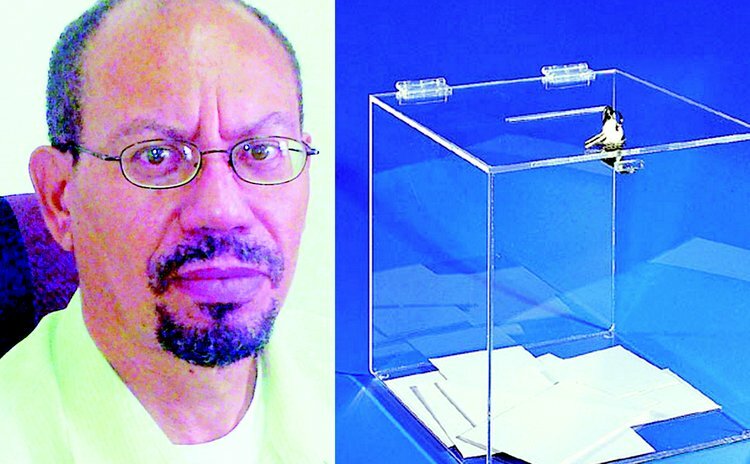 LaRocque added: "We have ordered 300 transparent ballot boxes. We have about 250 polling stations, but we ordered extras and the cost of the 300 boxes is about US$8, 000." LaRocque said the transparent ballot boxes are needed because the Electoral Commission is improving the methods of conducting elections here. "As the name suggests transparent ballot boxes (allows) you to see the ballots in the box but not see who the person has voted for. It is a very durable material and will replace the wooden ballot boxes that we have had for years and which is susceptible to termites," LaRocque said. Transparent ballot boxes increase the trust of voters, candidates, observers and the media, in the proper conduct of the election at polling station level and beyond. The ballot box and the opening in the lid can easily be sealed with seven uniquely serialized security seals, either to facilitate a safe pause in polling or the transportation of ballot papers or other sensitive materials. The transparent ballot boxes comes in three sizes: 45 litre, 60 litre and 80 litre. Additionally, LaRocque confirmed that, "we have also gotten a proposal from an overseas based company to do a pilot on electronic counter of the ballots. So that if the proposal is approved, we will be looking at having the results transmitted to the electoral office on a much faster basis. These are all part of our electoral reform and as soon as these things are on, the media will be so informed and we will call them in and give a demonstration of the entire process."